The All Progressive Congress APC in Taraba State has said‎ elections which took place throughout the state woefully failed to meet the minimum standard for the conduct of free, fair and credible elections contrary to the assertion by the Taraba State Government. The party in a resolution after its state working committee met to reflect on the conduct of the last election said the elections were characterized and marred by massive rigging, non-usage of Card Readers, ballot box stuffing and snatching, outright allocation of votes, intimidation and physical harassment of APC agents across the state. The resolution signed by Chairman APC Taraba State Barrister Ibrahim Tukur El-Sudi said ‎elections did not properly take place in some Local Government Areas like, Wukari, Donga, Takum, Kurmi, Ussa and Zing, where APC agents were physically molested and chased away, while votes were fictitiously allocated in favour of PDP and imposed on the INEC Returning Officers, most of whom had already been threatened and compromised. He said t‎he PDP had arrogantly bandied the notion that the Card Readers were not a lawful part of the election guidelines and therefore had the liberty to fabricate and allocate votes as they pleased. "Indeed, the Card Reader is not electronic voting but an indispensable part of the accreditation process without which no voting could take place. ‎Both the Returning Officer and the Collation Centre ought to have outrightly rejected all votes not produced through the card reader." The Party also expressed disappointment, "at the unfortunate compromise and insidious collaboration between the PDP and INEC, whereby INEC had mopped up all unclaimed PVC’s and handed them over to the PDP ahead of the elections. "In virtually all the polling units across the state, PDP had in their possession, thousands of uncollected PVC’s including those of IDP’s and deceased persons, which they freely used to conduct multiple over-voting, in active support by INEC officials. PDP were also in possession of ballot papers, which they freely used in stuffing ballot boxes in some Local Government Areas like, Lau, Bali, and Sardauna Local Government Areas." Contrary to the guidelines issued by INEC that elections results should not be announced or accepted under duress, Taraba state APC claimed that most results across the state were collated and received under severe pressure and threats despite protestations by APC agents that the results were fictitious. "Almost all the results accepted and collated at the State Collation office were challenged at various levels from the units, due to over voting, non-accreditation of voters, outright manufacturing of results, but the complaints were ignored by the INEC Returning Officers in all Local Government Areas. It was an open fact that even at the State Collation Centre, Jalingo. PDP agents, their thugs and State Government Officials had threatened that if Governor Darius Ishaku was not returned as elected, the State INEC Office would be burnt down including the officials involved in the collation exercise. It was a clear case of intimidation." The Party insisted that the results are therefore not only unacceptable but also cannot form the basis for the declaration of Architect Darius Ishaku as the elected governor of Taraba State. ‎RESOLUTION OF THE TARABA STATE APC WORKING COMMITTEE ON THE 2019 GENERAL ELECTIONS IN TARABA STATE. On Friday 22nd March 2019, the state working committee met to reflect on the conduct of the General Elections held in Taraba State on 9th March, 2019. At the end it resolved as follows. 1. The elections which took place throughout the state had woefully failed to meet the minimum standard for the conduct of free, fair and credible elections contrary to the assertion by the Taraba State Government. The elections were characterized and marred by massive rigging, non-usage of Card Readers, ballot box stuffing and snatching, outright allocation of votes, intimidation and physical harassment of APC agents across the state. 2. In particular, elections did not properly take place in some Local Government Areas like, Wukari, Donga, Takum, Kurmi, Ussa and Zing, where APC agents were physically molested and chased away, while votes were fictitiously allocated in favour of PDP and imposed on the INEC Returning Officers, most of whom had already been threatened and compromised. 3. The Party noted with great disappointment, the unfortunate compromise and insidious collaboration between the PDP and INEC, whereby INEC had mopped up all unclaimed PVC’s and handed them over to the PDP ahead of the elections. In virtually all the polling units across the state, PDP had in their possession, thousands of uncollected PVC’s including those of IDP’s and deceased persons, which they freely used to conduct multiple over-voting, in active support by INEC officials. PDP were also in possession of ballot papers, which they freely used in stuffing ballot boxes in some Local Government Areas like, Lau, Bali, and Sardauna Local Government Areas. 4. Contrary to the guidelines issued by INEC that elections results should not be announced/accepted under duress or threats, most results across the state were collated and received under severe pressure and threats despite protestations by APC agents that the results were fictitious. Almost all the results accepted and collated at the State Collation office were challenged at various levels from the units, due to over voting, non-accreditation of voters, outright manufacturing of results, but the complaints were ignored by the INEC Returning Officers in all Local Government Areas. It was an open fact that even at the State Collation Centre, Jalingo. PDP agents, their thugs and State Government Officials had threatened that if Governor Darius Ishaku was not returned as elected, the State INEC Office would be burnt down including the officials involved in the collation exercise. It was a clear case of intimidation. 5. The above irregularities and many more hereby invalidates all results as announced by the State INEC Officer as they do not reflect the authentic votes cast during the elections. Besides, these fictitious results had been illegally prepared and widely circulated since Sunday March 10, 2019 before the collation centre began to receive the so called results from various Local Government Areas. The results are therefore not only unacceptable but also cannot form the basis for the declaration of Architect Darius Ishaku as the elected governor of Taraba State. 6. In view of this, The Taraba State APC hereby declares our total support and agreement with the decision by our Gubernatorial Candidate, Alhaji Sani Abubakar Danladi to challenge the results in court so as to retrieve the mandate of our people. We strongly believe that the fake results announced by INEC were not the true reflection of the wishes of the people of the state. We wish to assure our teeming supporters that the authentic results are available with INEC and will be proven in court. As a Party, we will not relent in our struggle until justice is done and no amount of intimidation, threat of violence and blackmail will deter us. 7. The easiest proof of this paradox is that a State which has witnessed the lowest voter turn-out since its inception due to the hostile political environment and violent posture of the State Government has now posted or recorded its highest vote count. For better understanding, Wukari Local Government Area which had experienced four years of unresolved communal crisis, with half of Wukari town still lying desolate and the inhabitants displaced and exiled to Jalingo, Mutum-Biyu, and Lafia in Nassarawa State, was said to have polled over one hundred and forty thousand votes, more than thirty percent of the entire Taraba vote. The PDP had arrogantly bandied the notion that the Card Readers were not a lawful part of the election guidelines and therefore had the liberty to fabricate and allocate votes as they pleased. Indeed, the Card Reader is not electronic voting but an indispensable part of the accreditation process without which no voting could take place. Both the Returning Officer and the Collation Centre ought to have outrightly rejected all votes not produced through this process. 8. 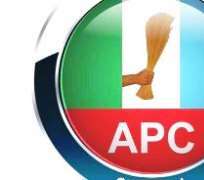 The APC in Taraba State is not unaware of the farrago of lies and malicious allegations credited to the state government regarding the post elections violence which erupted in Jalingo necessitating the imposition of a curfew in the state capital Jalingo. It is very important for the public to note that the unfortunate development was only a tip of what the PDP-led Administration in Taraba State had intended to unleash on the state if Architect Darius Dickson Ishaku was not declared as winner of the gubernatorial election. We were credibly aware that since Sunday March 10th, 2019, the State Government had moved hardened criminal political thugs to the State Capital from Wukari, Takum, Donga, Zing and Lau Local Government Areas to cause a complete breakdown of Law and Order in the State should INEC refuse to announce results already prepared by the PDP. As part of the plan several APC leaders had been earmarked for assassination in order to precipitate a religion uprising. This plan was in furtherance of the deliberate campaign to hoodwink and brainwash the people to believe that they had a duty to protect and defend their religious interest in the political affairs of the State. 9. The Taraba State Government under Governor Darius Dickson Ishaku is fully aware that it has failed to deliver on its stewardship to the state as well as owing backlogs of wages including salaries, pensions and gratuities. To escape the people’s verdict on this glaring failure, the State Government has chosen to follow the infamous path of stoking the embers of violence and disunity while still pretending to demand for ‘peace in exchange for development’. The political atmosphere in the state is so poisoned with religious and ethnic sentiments that virtually every issue is now tragically linked to this divisive volatile malady. It could be recalled that on Friday, 8th March 2019, before the elections, PDP thugs fought and killed each other over monies collected from Government House, but the fight later degenerated to a religious conflict, spreading into Mallam Joda, Sabon-Gari, and Jekadafari areas and claiming innocent lives. The PDP administration in Taraba State has been shamelessly funding and patronizing some religious leaders and organizations and encouraging them to raise spurious and false alarms against other citizens; as the only basis to perpetrate itself in power. In fact, the last one year of the Darius administration could best be described as an ‘annus horibilis’, as the people have been thrown into a complete state of insecurity occasioned by political violence, kidnapping and dizzying poverty due to lack of government activities. 10. The Taraba State Government which does not believe in Democracy and the rule of Law is now primitively harassing, intimidating and victimizing workers at the Local Government and State levels who showed sympathy for APC in the Presidential and Governorship elections. Curious enough those workers who openly and brazenly worked for PDP are handled with a pat on the back. What a double standard, what is good for the goose should be good for the gander. We equally want to let the Government of Taraba State know that it is not a crime for a public or civil servant to show his support for any political party of his choice. This matter has been settled by the Supreme Court of Nigeria in the case of; INEC – Vs – BALARABE MUSA reported in part 806 NWLR. The vindictive transfer of staff and withholding of salaries of workers taking place in almost all the Local Governments of Taraba State should be stopped immediately as this is not only undemocratic but also, unconstitutional and wicked. 11. It is also a known fact, that Traditional Rulers all over the State had openly antagonized citizens within their domain by framing false and fictitious allegations against them and such persons particularly APC sympathizers were being apprehended by the police on fictitious charges framed against them and eventually prosecuted or imprisoned on the instructions of the State Government. It is curious to note that PDP thugs arrested committing various offences during and after the elections were also being set free at the instance of the State Government. A typical example of this brazen lawlessness and injustice is when Governor Darius advocated amnesty for suspects recently handed over to the State Police Command by the Military. This confirms our worst fear that these thugs were recruited by the State Government to unleash mayhem and grievous hurt on innocent citizens. 12. Finally, APC sympathizes, commiserates and condoles with the victims of the atrocities perpetrated by the PDP thugs throughout the State. We appeal to them to be calm, steadfast and Law abiding. We all need peace in the state for any meaningful survival and development. As Law abiding citizens and those who believe in the rule of Law, APC will equally file a case in court to reclaim our stolen mandate.